Whether it’s your first time in London or a return trip; there is a little bit of London in all of us, let us help you discover it. 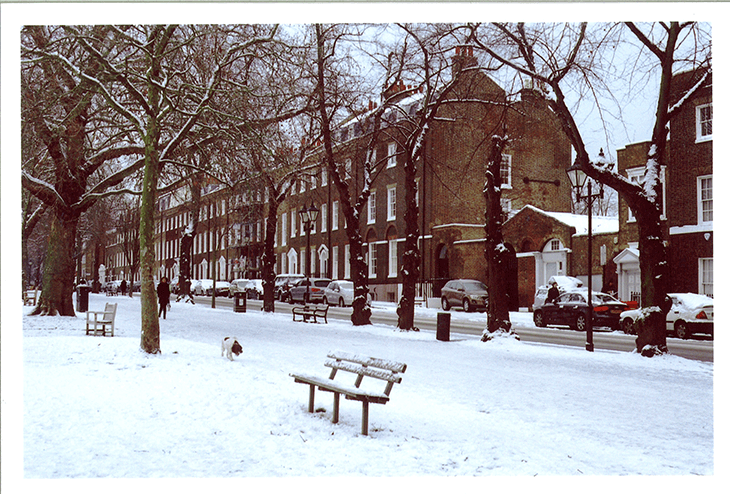 London is Cold, Bring a Coat! Unsure how to put an outfit together? You can't go wrong with black. A timeless non-color that transcends fashion. It brilliantly compliments almost every other flavor and can also turn heads as it's own standalone style. I almost never leave the house without it, and nor should you. It puts that extra accent on any wardrobe. Bright colors can be fun but trickier to pull off. Neutral colors like grey, black, white, green, blue, and brown are easy on the eyes and simple to mix and match. If you observe most classy London outfits you’ll find a medley of soft colors that work in tandem. You do not want to try and force or impose a foreign outfit in London. It is very conservative; leave the risque clothes at home! You want to blend in. Save for maybe the queen and her royal entourage, no simpletons are bucking any fashion trends. The culture of London fashion is very much solidified, go with the flow! The weather is typically brisk, you must have a nice coat to see you through the city. Furthermore, don’t be surprised if you find it sunny one moment, and rainy the next. With these unpredictable weather patterns, you’ll want something versatile to carry around with you. The Peacoat is an affordable and classy staple that comes in all sorts of threads and colors. You can wear it with jeans, leggings, or dress pants. Where better to wear the Peacoat than London, the city it was first designed in. You don’t need to break the bank compiling your wardrobe in the London outlets. They are incredibly pricey. Do your due diligence beforehand. 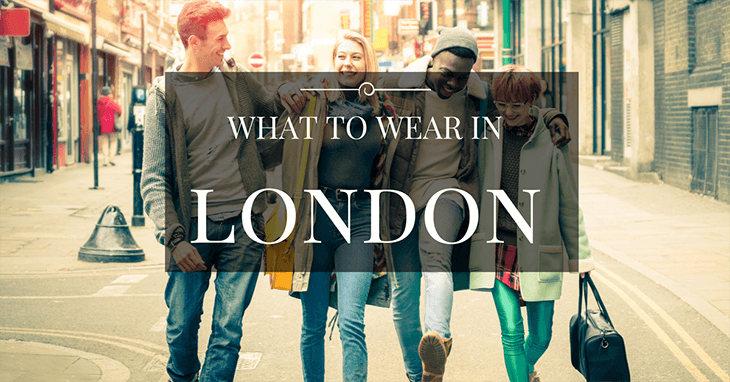 There are copious amounts of online vendors and retailers that provide an excellent collection of outfits perfect for London life. This shouldn’t be something you lose sleep over. Being in London is fun, and so is dressing up for it. If you are feeling stressed out over what to wear...don’t be. It is a gorgeous place full of beautiful people and clothes. Be confident, you’re a part of it. The Blazer: A very adaptable overcoat that doubles as a piece of luxury apparel. In London, You cannot go wrong with the blazer on any occasion. You can wear it over a sweater or a button up for that sophisticated look. Or if nightlife is your scene, it is acceptable over a plain colored t-shirt or polo. The Blazer is a piece of permanence, don’t enter London without one! Leggings: What used to be for sport and comfort has now manifested itself in the world of fashion. Leggings are currently a very trendy piece for your bottom half that blends textiles with your natural figure. Not to mention.. They feel great! Don’t be thrown off by their casual reputation. Leggings have become an absolute must for women both young and old. Now that you have an outline as to what to wear, you can plan accordingly. Remember all the staples that we listed; smaller more auxiliary pieces can be purchased in the city if you’re looking for a genuine piece of London merchandise. Pairing your outfit with a hat, scarf, or some other garnish can really pull your outfit together. But maybe best left for the London shopping experience. Remember: keep it simple, don’t stress, and have fun. You’re in London, one of the must-see cities in your Europe backpacking routes! Feel free to share your tips or experiences in the comments below. If you have any questions, don’t hesitate to ask. Black Peacoat: a cheap staple that never fails. Slinking Tan colored sweater than accentuates your natural figure. Light Blue ﻿﻿﻿Male ﻿﻿﻿Blazer that looks fresh. Black female leggings; look and feel great.